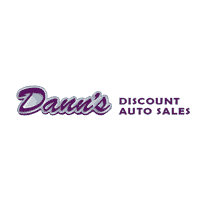 Our First Time Buyer program at Dann's Discount Auto Sales is designed for the first time auto buyer who has little to no credit and is ready to purchase their first Used Car, Truck, Van SUV, or Minivan. At our three locations in Visalia, Hanford or Tulare, we work directly with several Credit Unions and Banks to find the financing option that works the best for you. This loan comes with low rates, manageable terms and is an excellent way to establish a credit history. Come in and let our experts get you driving away with your very own vehicle today!